Last week John and I celebrated our 8 year anniversary! 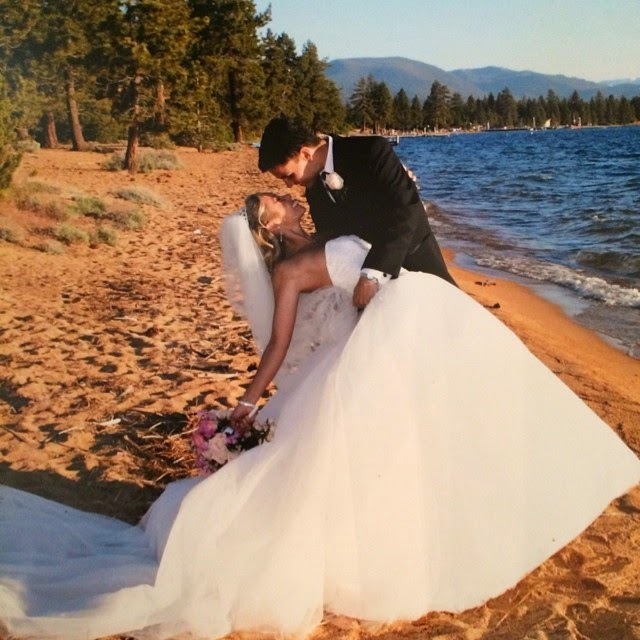 It is only appropriate that we take a little walk down memory lane with some photos of our beautiful wedding on June 17th 2006 in gorgeous South Lake Tahoe. That day really was a PERFECT day. It was an intimate wedding at Edgewood golf club and we were surrounded by our family and dearest friends. Although I did not know it at the time, this day was the last time my whole family would ever be together. Fast forward quite a bit and we have now been married for 8 years & together for 11 years. It is pretty crazy to think that we met when I was 18 years old and started dating when I was 19 years old. It really does seem a lifetime ago when we began this journey of love. I knew John was "the one" the moment I saw him. I did a 2 year Bible school before I went to college and I kept a journal those 2 years. Before I even met John I wrote in my prayer journal that I wanted God to send me a husband that was a combination of "Joey" (who is John's older brother & was the discipleship director in my Bible school!) and "JR" (another leader who was in the Bible school). I just admired Joey's heart and passion for God! He adored his wife Stacey and I wanted a marriage exactly like theirs! The funny thing was that Joey was a lot like me; a total sanguine, who loves to talk, never meets a stranger and doesn't lack confidence lol. We actually have a joke that if Joey & I were married we would be piled high in debt but we would be living and loving life, traveling the world and buying anything and everything we want! If John & Stacey were married they would be filthy rich, with all their money invested and saved in the bank and they would live the most boring lives ever haha. It is all about balance! Well, JR was another leader who was also very passionate about the Lord. He and his wife Aly were the picture perfect, beautiful, couple! Aly was the outgoing one and JR was the more calm and collected one. I looked up to their marriage as well. So in my mind the combo of Joey & JR would we perfect for me haha. If you know those 2 guys then you know that John is actually a TOTAL mix of them. He reminds me so much of his brother but he is the rational one that balances our marriage and keeps me from over spending. All of that to say I truly believe that God had John in mind when HE created me. I do believe what the word of God says in (Psalm 139:16) "You saw me before I was born. Every day of my life was recorded in your book. Every moment was laid out before a single day had passed." If God laid out every moment of my life before I was born then you better believe he hand picked my spouse! I can not even begin to express how grateful & thankful I am that God gave me a husband like John. I honestly do not deserve him but I am so thankful the Lord brought us together. I guess it is safe to say we made it past the 7 year itch! Year 7 was a tough one for us but we made it through and so far year 8 has started off wonderful! 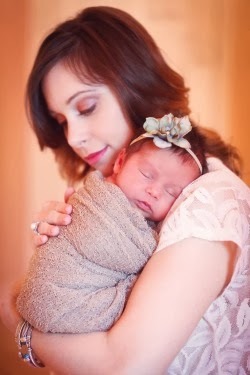 I now only have 1 baby in diapers and I am not pregnant or breastfeeding (and that is a first in over 3 years). Our girls are getting a teeny-tiny bit more independent although one of them does want to always be held haha. And we are building our next home! This year will still be a challenge with a 1 and 2 year old but I'm feeling a little more prepared for the task at hand. John and I celebrated pretty low key for our 8 year anniversary. We decided not to exchange gifts since we are building a new home. And we didn't take a trip because we just got back from a cruise for my 30th birthday. John did surprise me with beautiful flowers (many of which were in my wedding bouquet). My heart melts for peonies, hydrangeas, roses & snapdragons. We also went to dinner at "Sissy's" a fun southern style restaurant in Dallas. We had homemade cookies for dessert! What a wonderful end to our 7th year of marriage and I am ready for what is next. I really am excited to see what God has in store for us this year and I am believing that our best years are yet to come! So cheers to 8 beautiful years of marriage and making it past the 7 year itch!